Neurons in the mammalian peripheral nervous system, as well as neurons in invertebrates, are able to regenerate their axons after injury. In contrast, neurons in the mammalian central nervous system have limited regenerative capability. Although previous studies have revealed that intrinsic regeneration signals can influence the axon regeneration, the detailed processes that determine a neuron’s intrinsic regrowth capacity were poorly defined at the molecular level. 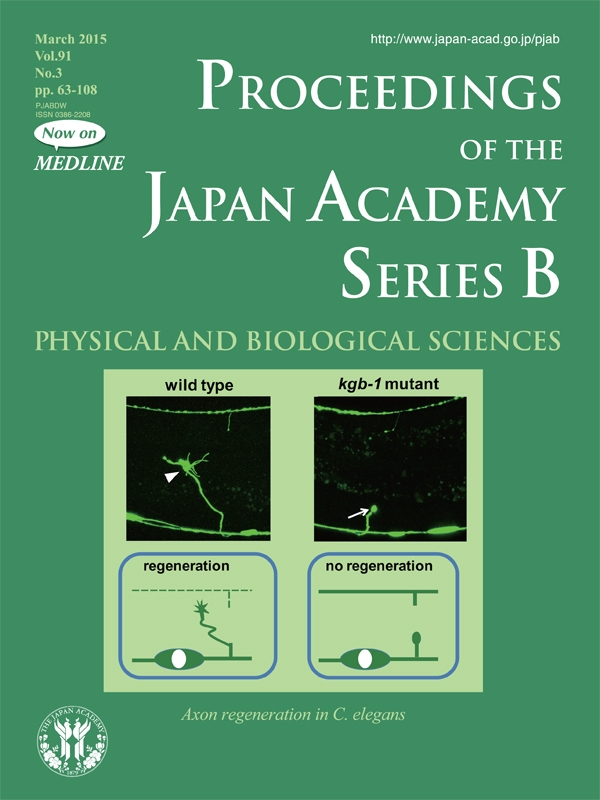 Several molecular factors that affect axon regeneration in vertebrate models, such as mouse or rat, have been identified using biochemical approaches. The development of a complementary genetic approach should facilitate the identification of new molecular factors. 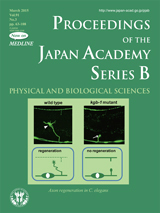 The development of laser microsurgery techniques facilitated the use of the nematode Caenorhabditis elegans as a tractable model for studying regenerative responses in neurons. Using this system, Dr. Matsumoto and his colleagues found that the JNK MAP kinase cascade, consisting of MLK-1 MAPKKK, MEK-1 MAPKK and KGB-1 JNK, plays a positive role in axon regeneration in C. elegans as summarized in the review (pp. 63-75). They further employed a genetical approach to isolate genes involved in the JNK MAPK pathway, and identified several svh genes. The svh-1 and svh-2 genes encode a hepatocyte growth factor/plasminogen-like protein and a c-Met-like receptor tyrosine kinase, respectively, both of which act upstream of the JNK MAPK cascade. The svh-3 gene encodes a hydrolase targeting anandamide, an endogenous cannabinoid synthesized in many invertebrate and vertebrate animals. Further studies revealed that anandamide suppresses axon regeneration by inhibiting the JNK pathway. Thus, the amenability of C. elegans to genetic manipulation makes it particularly useful for uncovering novel factors involved in the regulation of the axon regeneration response.